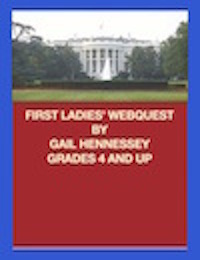 "First Lady" is the title given to the wife of the President of the United States. It was first used to refer to Rutherford Hayes' wife, Lucy Ware Webb Hayes, when a journalist called her "First Lady of the Land"".The first First Lady, Martha Washington, was called "Lady Washington". "Mrs. President" was also used to refer to the wives of Presidents prior to the term,First Lady. Learn some interesting facts about some of our First Ladies!